When hanging wall cabinets, mounting built-ins or even hanging a picture frame or flat screen TV for that matter, it’s important to find the wall studs. Over the years there have probably been hundreds of devices created to make this task easier, and I’ve tried a bunch of them. But the new Franklin ProSensor 710 does this job better than any other solution I’ve tried before. 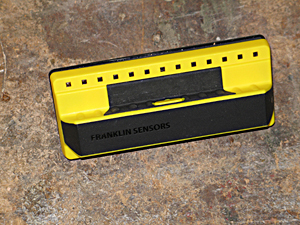 The Franklin ProSensor 710 Professional Stud Detector uses sensing technology to locate studs or other hidden objects behind the wallboard, no matter if the hidden objects are wood or metal or some other material. Because it actually detects the object, not some metal nail embedded in it, this sensor is faster and more accurate. A bank of 13 LED lights across the top of the unit not only give you instant indication of where a hidden object is, but also they tell you approximately how wide it is. In the case of finding studs for fastening heavy objects, that gives you great assurance that you’ll be able to put your fastener into the center of the stud first time, every time. Unlike most stud sensors, this unit can also detect multiple objects simultaneously. If there are two studs near each other, you’ll see two sets of LEDs light up on the sensor. 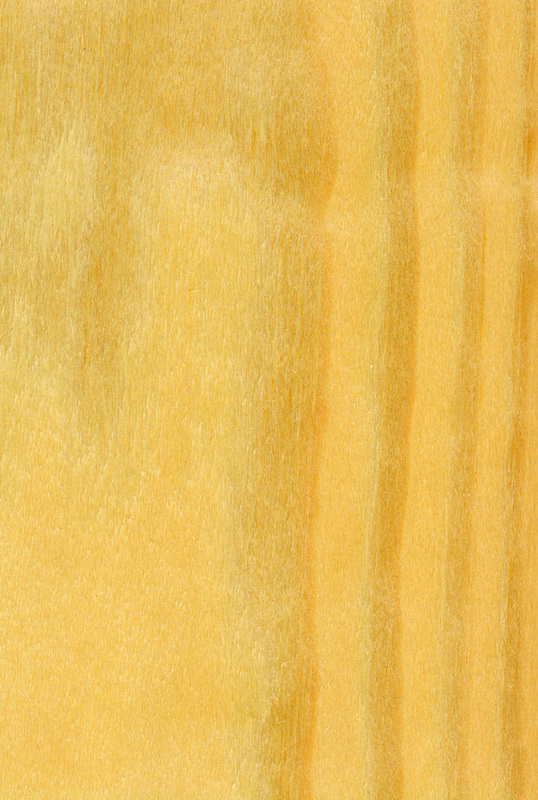 In addition, if a stud is set back, the sensor will still detect it up to 1.5 inches deep. Using the ProSensor 710 is simple. Simply load the two AA batteries that power the unit and press the yellow button on top to turn it on. Then place the sensor anywhere on a wall. If it is over a stud or other hidden object, LEDs in that location will light up. 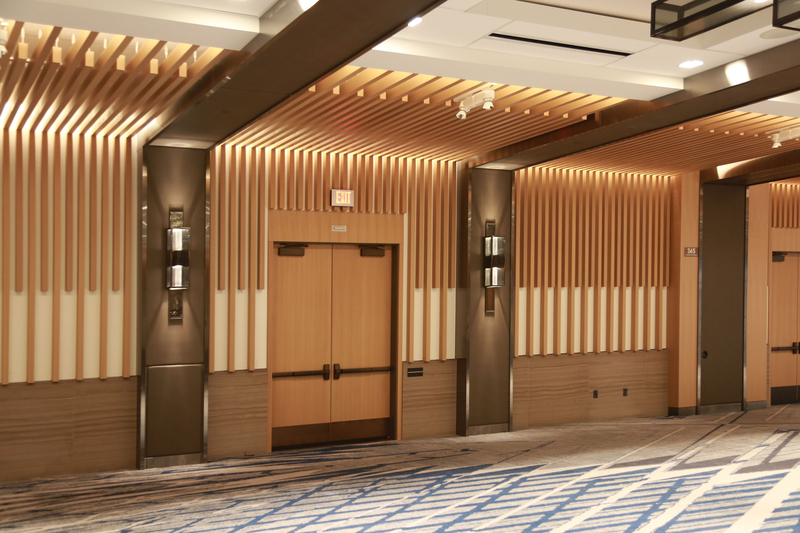 If there are no lit LEDs, move the sensor to a new location until you find a stud. The first time I used the unit was for installing two built-in bookshelf units that were part of a full-size wall unit project. The bookshelves needed to be secured well to the studs. Using the ProSensor 710, I found the best mounting points instantly with no false readings. In all my subsequent tests, the unit has been just as accurate. At a street price of about $50, this unit is a real timesaver. For more information, visit www.franklinsensors.com.